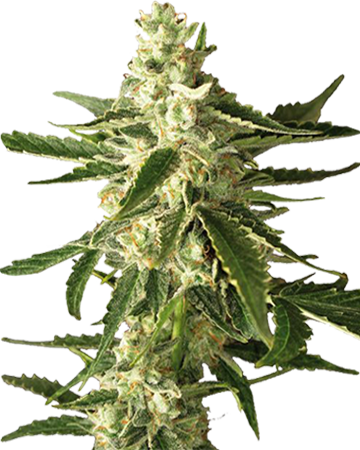 Great for any time of day, Gorilla Glue Auto-Flowering cannabis seeds relax and ease some pain, and offer a touch of blissful euphoria. 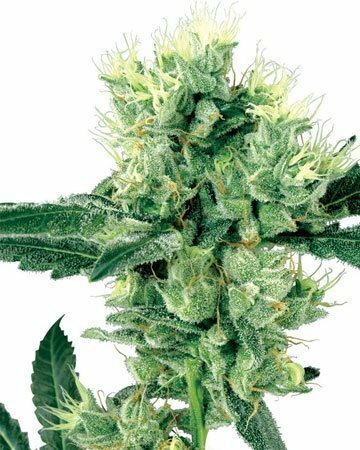 These effects make this an ideal strain for people hoping to relieve stress and depression, as well as pain. A balanced hybrid, Gorilla Glue averages 21% THC and tastes of pine and diesel. It is easy to grow and great for beginners! We’ve taken a modern crowd favorite and made it even easier to grow therapeutic, great-feeling and great-tasting cannabis! 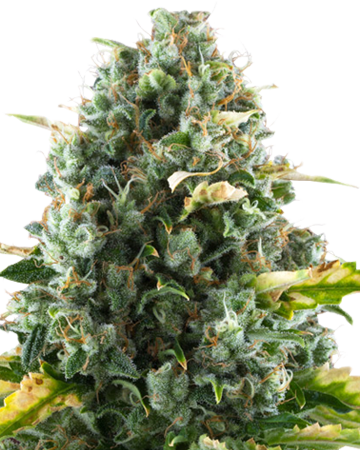 Our Gorilla Glue Auto-Flowering cannabis seeds feature the Diesel-backed genetics of popular Gorilla Glue #4 and our trusted and tested ruderalis strain. 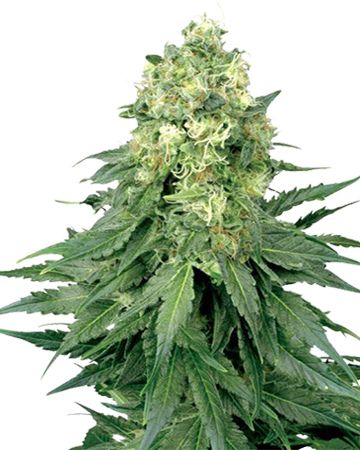 The result is a fast-flowering, automatic cannabis plant; an excellent choice for new and established gardeners, that will impress with its effects. How Will Gorilla Glue Auto-Flowering Affect Me? 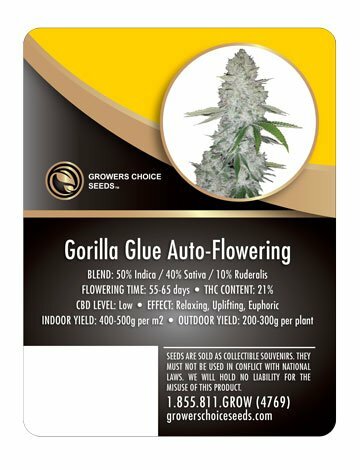 Growers Choice Gorilla Glue is a great option for any time of day – it offers just enough relaxation to keep you feeling loose and soothed, but not enough to put you to sleep. That means, if you have some things to do, Gorilla Glue will let you get them done while still delivering the relief you need. 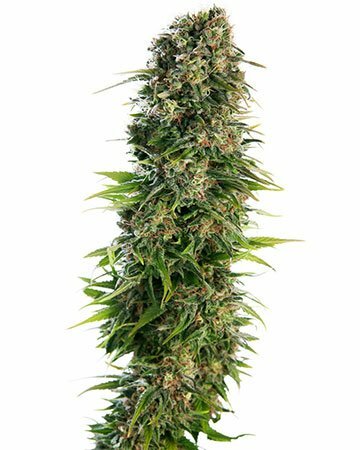 Don’t plan for too much detailed work, though, since Gorilla Glue cannabis seeds will leave you feeling a bit euphoric in larger doses. Stick to small amounts to feel less of this famous marijuana trait, or just enjoy the deep relaxation it encourages, and the uplifting sensation that goes along with it. Does Gorilla Glue Have Medical Uses? 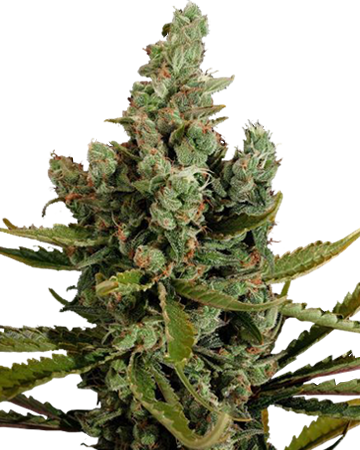 The relaxing and uplifting qualities of Gorilla Glue auto-flowering cannabis seeds do offer some therapeutic benefits along with the obvious recreational ones. You’ll find your stress – and even some symptoms of depression – washed away after a treatment, your woes being overtaken by a sense of gentle happiness and – not surprisingly – a bit of hunger. Gorilla Glue is quite adept at helping patients deal with minor to moderate chronic or acute pain, especially that of the neuropathic variety, and you might find the vestiges of the strain can help you ease into sleep if you’re headed there already. Side Effects of Gorilla Glue Auto-Flowering? We always recommend starting with small doses of any new strain, until you have determined your ideal amount. The 21% THC in Gorilla Glue can deliver moderate to mighty effects, depending on your tolerance, and if you go a little bit overboard, you might find yourself with dry eyes and mouth. Anxiety and paranoia aren’t too common with this strain, but practice caution nevertheless! 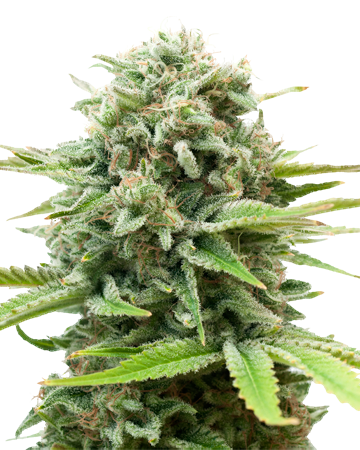 Like most of our autoflowering strains, Gorilla Glue is easy to grow and makes a great first try for passionate people who want to try their hand at gardening their own medicinal or recreational cannabis strains (in states where growing is legal, of course). After germination, auto-flowering seeds generally spend two or three weeks in the vegetative stage before transitioning to the flowering stage. 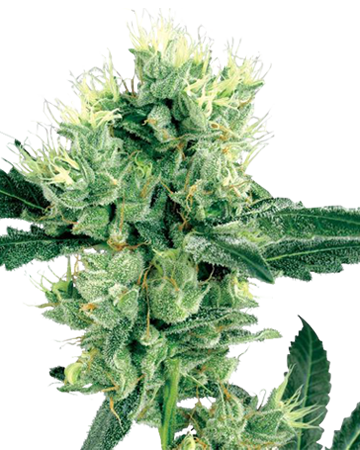 Unlike regular seeds, you don’t need to worry about changing your light-to-dark ratio to prompt this change – the Russian-born ruderalis in the genetics takes care of this for you. 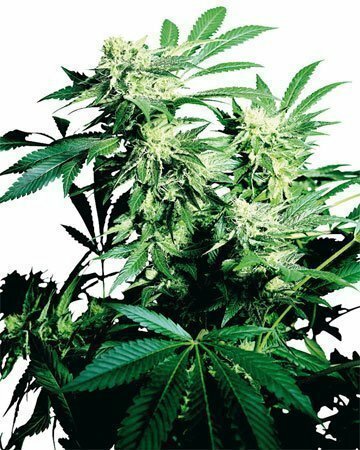 After about 60 days in the flowering stage you should be ready to harvest, and could wind up with up to 500 grams per square meter of fresh bud from an indoor grow. 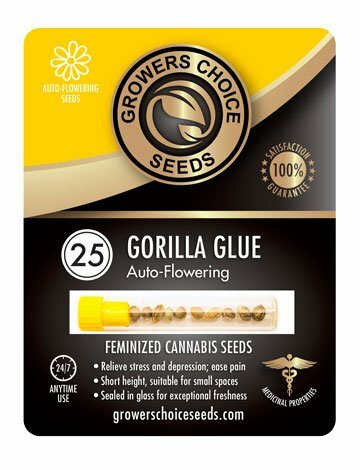 Like all Growers Choice products, Gorilla Glue Auto-Flowering cannabis seeds are fully feminized, so you never need to worry about identifying male plants in your crop. I ordered 3 seeds and 2 of them sprouted which is a win to me. Both plants grew fast in my indoor grow tent. After 2 months they are a little over two feet tall. The only downside is the strong skunk smell that filled my entire house. I didn’t mind but my wife complained every time she walked in the front door she smelled skunk. I didn’t want the expense of a carbon air filter so I gave them away. I may buy more of these seeds and try again when it’s much warmer and grow them outside. In the meantime I’m growing Auto Blueberry which has much less smell. Growers Choice has the cheapest seeds I’ve been able to find so far. I recommend them and will buy again ! These are great . Smell awesome, just now starting to flower . I’m very happy with what I’m seeing . I agree that this strain provides excellent mental health benefits for those of us who struggle with anxiety and depression, but in all honesty I smoke this strain recreationally more often than not. 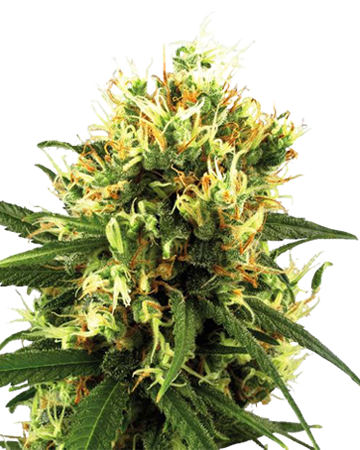 I found the grow process to be very rewarding, and the quality of the seeds was apparent. I got 100% germination from my 3 seeds, following the germination guide on this site, and grew them outdoors with plenty of sunlight. They weren’t terribly fickle to grow, required some pruning like any weed plant, but nothing out of the ordinary. The trichomes were quite beautiful as well, dense and bright white, and the smell was somewhere between diesel and something sweet. An excellent high, great for afternoons at home, and for relaxing with friends. 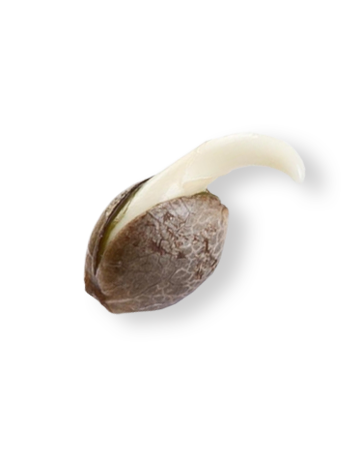 I GREW 2 OF THESE SEEDS DURING MY PROJECT GROW AND WAS VERY SATISFIED WITH THE COMPLETE STRENGTH OF THE SEEDS AND THE PLANTS… HEAVY FRUITFUL YIELDS AND AMAZING TASTE AND CONSTANT ACTIVITY!!! Purchased 3 GG auto seeds, they came withing 7 days of ordering them. I only germ’d 1 because of my very limited grow space. It popped with no issues. Its now day 6 and its looking very healthy. Ill be back at a later date with an update! Customer service was a great help when my order was cancelled. I entered in the wrong exp on my billing. They resolved it quickly. Thank GC! Fast delivery strong plants. A fun grow for sure. Fast growing using Hempy buckets. Fed @ 450ppm. Let dry between water/feedings. Flush one a month. Cured out 5 solid oz’s. Will grow again! I always gravitate toward marijuana strains that are hybrids and can do multiple things at once. As a naturally anxious person, I thought pure indicas were the way to go…until I realized that I was falling asleep at my work desk. Obviously, my boss wasn’t happy. So I had to find a more awakening strain with similar relaxing effects. Gorilla Glue is a great mix of indica and sativa. I can get all my work done while still feeling at ease. My body feels one way and my brain feels another way. In my first purchase alone, I saved so much money. 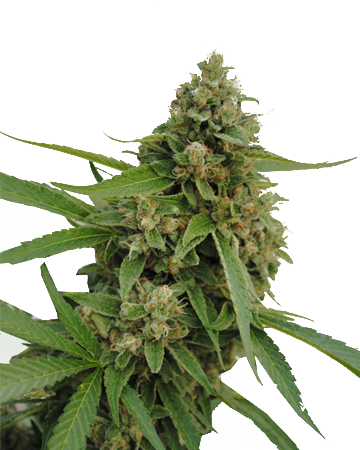 The feminized cannabis seeds meant that I wasn’t losing out due to male plants and the high germination guarantee makes it a huge money saver. 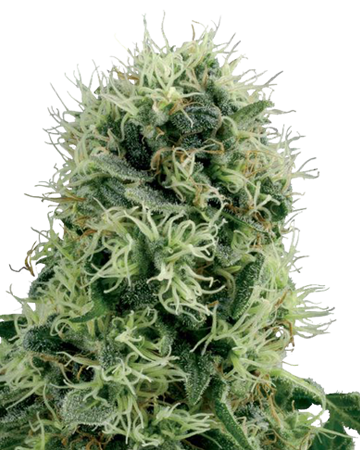 I love a good pot strain like this because I can buy it online and have it delivered quickly. I started growing indoors but decided to move them outside into a tent. What I liked best was that the high made me relaxed but didn’t give me couch lock. Ok, so let me take you through my journey with these seeds. I am a daily smoker, so I am quite in tuned with how weed is supposed to be. I gave them names to give them a sort of personal touch. Winston, Tandy, Harambe, Donkey Kong (DK), and Apollo. I am a first time grower, but I took it very seriously. I kept logs, and watched them very carefully, following guides very closely. Patience, you NEED to be patient with these plants, it’s so tempting to pluck the buds and smoke it, but you wouldn’t even get high if you did. So you gotta let them mature properly. Indoor grown, window cill for the first month, and lamps for the rest of their growth. Apollo: This seed was the only one not to germinate. This seed was dead on arrival. DK: A promising seed, It did germinate well, and the sprout did grow, but it never pierced the soil and died before fully sprouting. Though, this could have been my error. I was a bit touchy with this one when I shouldn’t have been. Harambe: This seed was a bit ironic. The name Harambe was a joke, but it turned out to be a really fitting name. This seed was very promising, thickest root, biggest seed. I thought this was gonna be my big one. However after it sprouted and the leaves started to come in brown, and a little broken. It was started to look really bad. I thought i was gonna be 0/3, and the name Harambe seemed to have been a curse from those bastards over there in Cincinnati were to blame. However, I kept watering her, and eventually it came back. As a result, this plant is still the only one that is not ready for harvest while i write this. This is my smallest plant, but it still came a long way, I am proud of it! Tandy: This was the largest plant, and like Winston it too was pretty textbook. However, it was the smallest one, the latest to sprout, but it grew about a foot taller than the others. As a first time grower, I felt these seeds were quite easy to work with, and a 3/5 success rate is a win in my book! Considering only 1 of them was out of my control. If you too are a first time grower, follow the guides out there. Not just the ones on this site, check multiple sites, and make your own decisions. There are a lot of methods out there, and most of them come down to preference. The buds however, were very rich. The high was very nice, but not overly mind numbing. I had some last night, and went to lay down. I felt like I was just sort of floating in space. It was nice lol. My finance also tried it for the first time(our weed, not smoking in general), and she couldn’t stop laughing at nothing. This was the only slightly disappointing part. This was VERY likely my personal fault. All 3 plants grew very different lengths, and my setup was a little ghetto. So I didn’t get 10 mason jars per plant. I’m gonna get about 1 and a half total (estimated) when I’m totally done with my harvest. Definitely not gonna last me until next harvest. But considering I spent about $50 on these seeds I would prolly need about $500 to buy what I already have harvested (half a jar) if I went to a dispensary. I really can’t complain. This was an experience, I am so glad I did this. I definitely got a mountain of weed compared to I took $50 to a dispensary. The hard work was actually the fun of it for me. Managing the plants was a very therapeutic experience, and at times helped my anxiety. I am looking forward to ordering from here again. Maybe this time I’ll use the money I’m saving to invest in a grow tent. I highly recommend these seeds, they are a good investment if you’re looking for inexpensive personal bud! Thank you for such an in-depth review! We’re so glad you had a great experience with our seeds! Was really happy with my first purchase at Grower’s Choice… following their germination instructions using wet paper towel, 5 feminized White Widows all popped in 3 days and grew exceptional plants with huge colas! The Gorilla Glue #4 autoflower was my 2nd order and was not so satisfactory… only 1 of the 3 seeds popped (in just 2 days!) and grew a root. The other 2 seeds cracked open slightly (in 2-3 days) but never grew a root. I had to pay an additional $10 shipping for 2 replacement seeds and only one of them grew (the other one cracked but didn’t grow). So, I got 2 plants out of 5 seeds and the whole process took 6 weeks from date of first ordering (had a bank card issue on my end plus delays in processing and shipping by vendor; once shipped they arrived quickly). I did everything the same w/each strain so I have to assume there was some issue with the GG#4 seeds I got. I even tried the “Last Ditch” method and put them back in [75-80 degree] water for 14 hours but they still wouldn’t grow a root. Despite the silly surcharge for replacement shipping (their actual shipping cost is probably about $4), at least GC offers a replacement option… some vendors don’t even do that. I will probably buy from them again but I’m also planning to check out a local vendor here in Oregon. I bought a 3 pack of these seeds and only 1 germinated after following their steps. I didn’t have a problem with my first order on a different strain all three seeds germinated. So, I purchased a pack a few months back and popped three seeds. All three germinated. Put them in Roots Organic Original with a super soil base from Kind Soil. Under 100watt LED lights, 24 hours a day, with just water and they have explosive growth! Vegetative stage is a bit longer than most autoflowers, so LST training is a must. Big, fat fan leaves and it grows an inch a day. Loves 70-78F temps at 50% humidity. Zero issues except the space needed to grow them out. For small hobbyist with limited space, I recommend only doing two or three of these beautiful plants. Side lighting is recommended. Ph balanced water 6.0-7.0 with light feeding. Looking forward to see them flower! Best seeds out there! 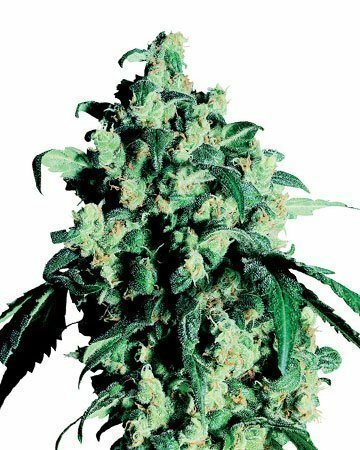 Easy to grow with big beautiful buds! Very nice plants!! I was very happy when i got 2.5 ounces from 1 plant. Buds were big and sticky can’t go wrong with this strain. Gorilla Glue is definitely a good strain, easier to grow than some others. Pretty relaxing, good for the weekend when you want to get stuff done but not be overwhelmed by it all. I’ve noticed it also helps a bit with my fibromyalgia pain, which was a pleasant surprise. Going to keep orering my seeds online from Growers Choice, I like their prices and they ship fast, even overseas. Feminized cannabis seeds are the best grow I’ve ever had. Was suuuper easy to grow and yield was incredible. No picking out males and only one out of 10 duds. Ordering online was already great. Customer service suggested this strain. It’s as strong as they say it is, but my tolerance is much higher than most. Still only take a couple puffs myself. Bought these feminized cannabis seeds for sleep, but they ended up helping my migraines as well. Used to get a few a month, but I’ve had one in the last 6 months since growing and trying this pot. Even after I got it, the symptoms were pretty much nothing after using some of the Gorilla Glue. Chose to grow indoors to avoid the hassle of outside. Was super happy with the outcome. Delivery was faster than expecting, and quality is the best I’ve seen so far. Ordered Cindy 99 as well from a recommendation of the customer service reps. Can’t wait to buy that too. Perfect lazy Sunday afternoon strain. Usually end up passed out on the couch until dinner, so definitely works in my favor. 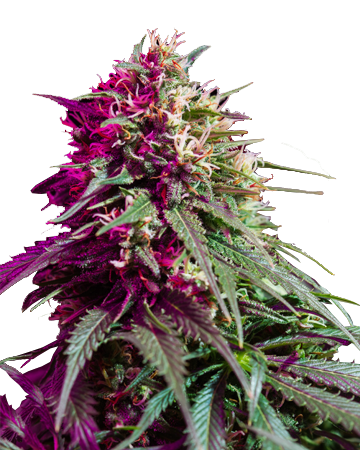 GC is the best if you’re searching for where to buy feminized cannabis seeds. Always deliver my order on time and are consistent with packaging. I’ve called in for help deciding on strains before and everyone is very patient and helpful. They’re also knowledgable about the product, so I’m not waiting for them to go find someone who knows how to answer my question. I only buy online because I don’t actually want to have to search. This company offers a lot of options. 2 thumbs up. I’m one of those people who only takes in the day after going home and finally sitting on the couch…then everything starts to hit me and I start wondering if I’m doing anything right. I love this stuff because the effects come on slowly, but the feeling of being relaxed is super intense. It’s perfect. 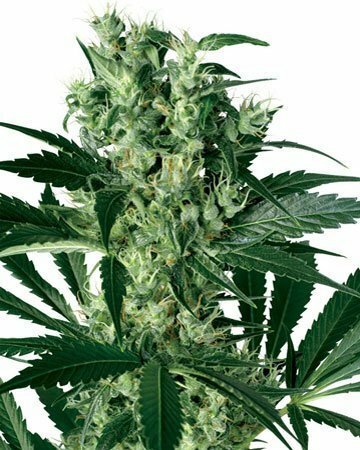 as a newbie grower, I heard that feminized cannabis seeds were the way to go. So glad I ordered. I’ve never grown before, so feminized cannabis seeds seemed to be the right choice for me. It’s perfect because the auto-flowering helped make it easier to grow. My order even came extremely quickly, which I was pleasantly surprised about. Usually I’m going going going all day, so falling asleep is extremely difficult for me. This helps me sleep like a baby!